When a potential customer calls your business, they are looking for answers, prices or an appointment. This first contact a potential customer has with your business is extremely important to them. This first contact is the most important part of your customer service. It’s your first impression of how eager you are to do business. 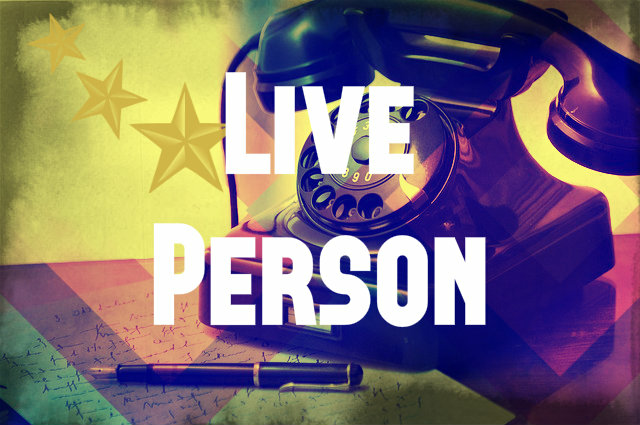 Most small businesses don’t understand the value of a live person answering their phone. As a website designer, I am fortunate enough to be at my desk most of the time. I have had many clients tell me that I was the only website designer they called who actually answered their phone. This tells them that I am responsive and ready to answer their questions. This also gets me the job 90% of the time. Sometimes I’m on the phone and a call goes to voicemail. When this happens, I call the person back immediately after finishing the call I’m on. I don’t know what the vast majority of local web designers are doing, but they aren’t answering their phones, or even calling prospective customers back in a timely manner. Most people don’t want to wait for a call back. Statistics show that only 30% of people reaching voicemail will leave a message. That means if you don’t answer your phone, or least have a live person to answer your phone, you are missing 70% of your potential customers. Can you really afford that? In our fast paced world of “instant” everything, if a prospective customer can’t get the answers they are looking for from you – right now -they will call the phone number on the next website in the list. When a potential customer calls your business, they usually have a good reason to do so, they need your product or service! If they are an existing customer they most likely have questions or concerns and they feel frustrated and impatient to solve the problem. If they are sent to voicemail, it leaves them feeling unimportant and forgotten. Every call that goes to voicemail means your business is losing out on a potential customer. In my experience, when you are the only business that has a live person on the other end of the phone, you will most likely get the job. Nobody wants to deal with unresponsive, bad customer service, and that’s exactly how they see voice mail. You don’t care enough to take their call. The reality is, of course you care enough! You’re just busy doing your job. If you aren’t answering the phone because you’re screening your calls – STOP IT! Those hang-up calls are most likely prospective customers and not telemarketers. So, how do you answer the phone while you’re busy working? If you simply can’t take most or even some of your calls, I would suggest searching out an answering service. the main goal here is to let people hear a live voice on the other end of the phone. There is also a program I can install in your hosting account called Openvbx. Once the program is installed, you need to open up an a Twilio account. At Twilio, you can lease a local phone number for $1.00 a month and pay $0.02 per minute for incoming calls. You can also lease a toll free number for $2.00 a month. I advise against the toll free numbers because if someone is looking for a local business, they see a toll free number as not local. Even though there may be multiple area codes in your service area, it’s best to use the one for your main location. Most people are now using a smartphone with unlimited long distance these days, so using a toll free number to save customers money isn’t really applicable anymore. If you have questions about Openvbx and how it works, give me a call. I can give you a live demo.